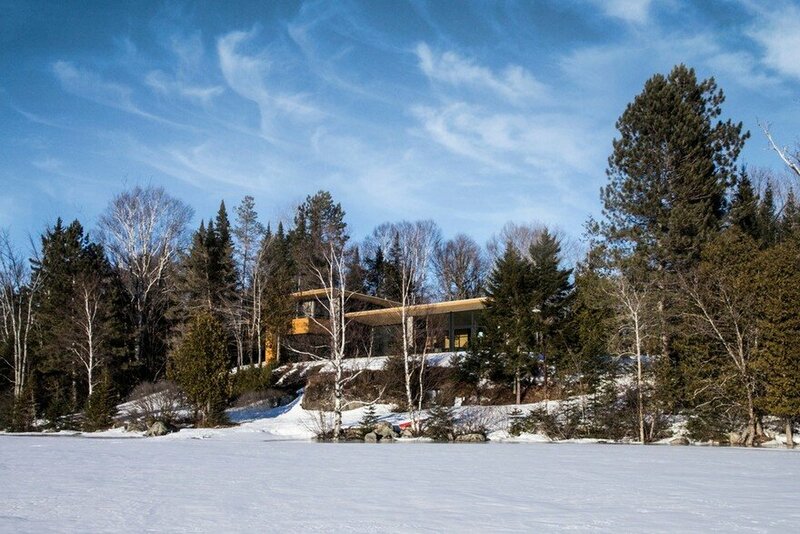 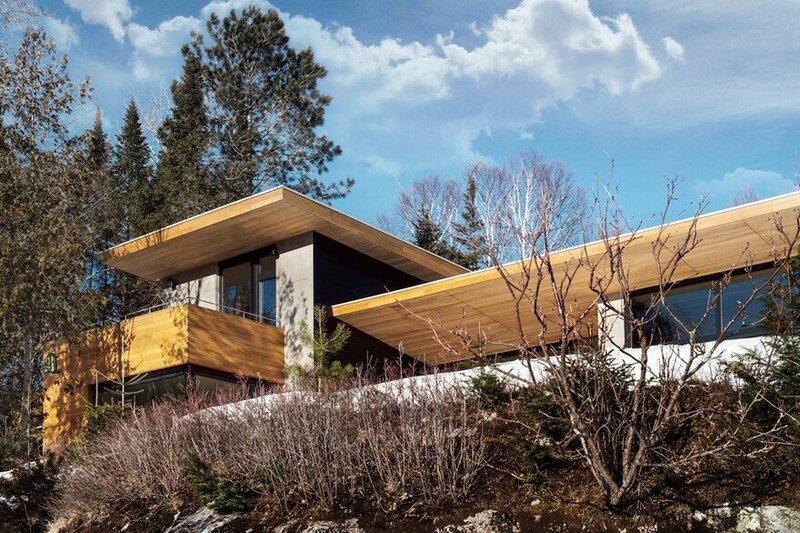 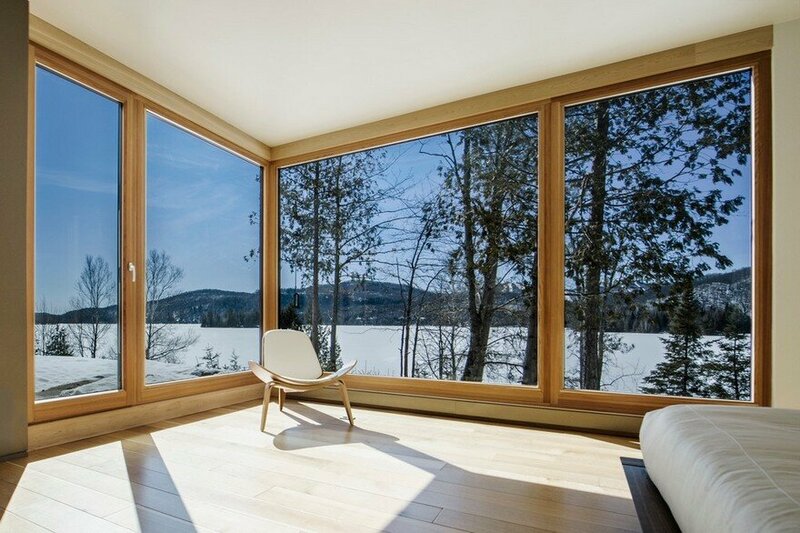 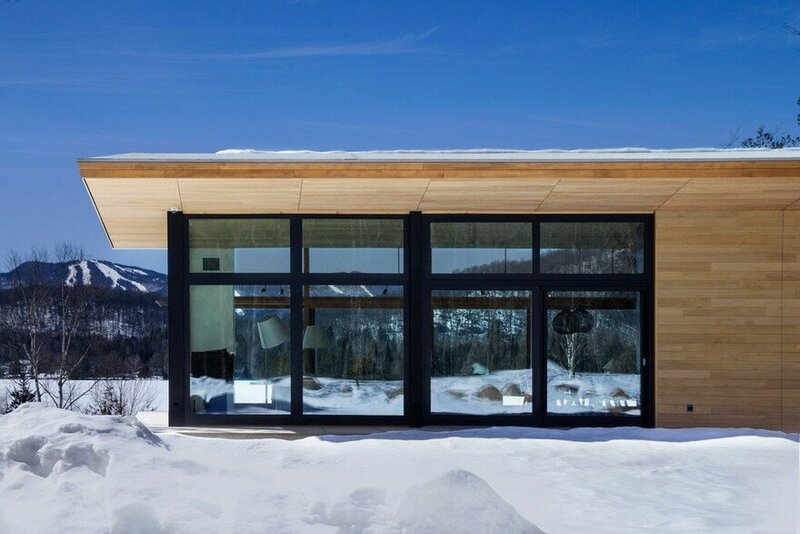 The Wooden Wing is a large cottage on the shores of Lac Supérieur, in Quebec’s Laurentians. 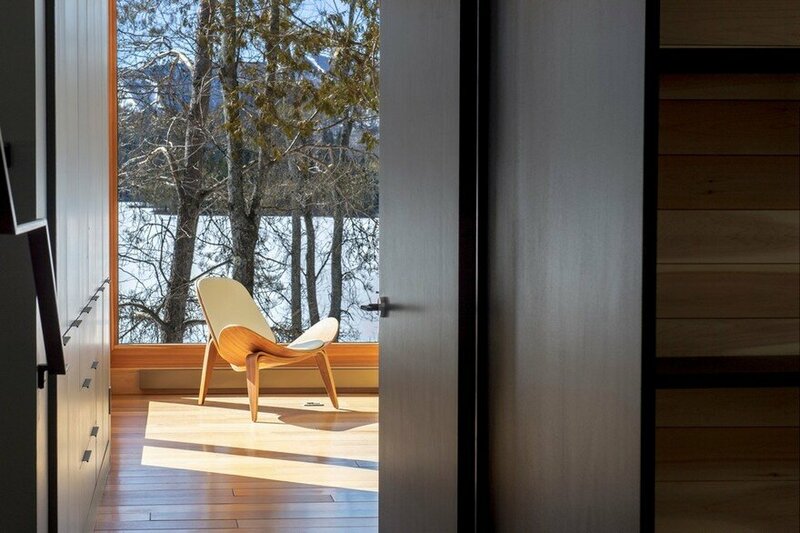 The house is perched on a sizeable outcrop of granite bedrock, giving it a commanding yet intimate view of the lake and Mont Tremblant, on the other side. 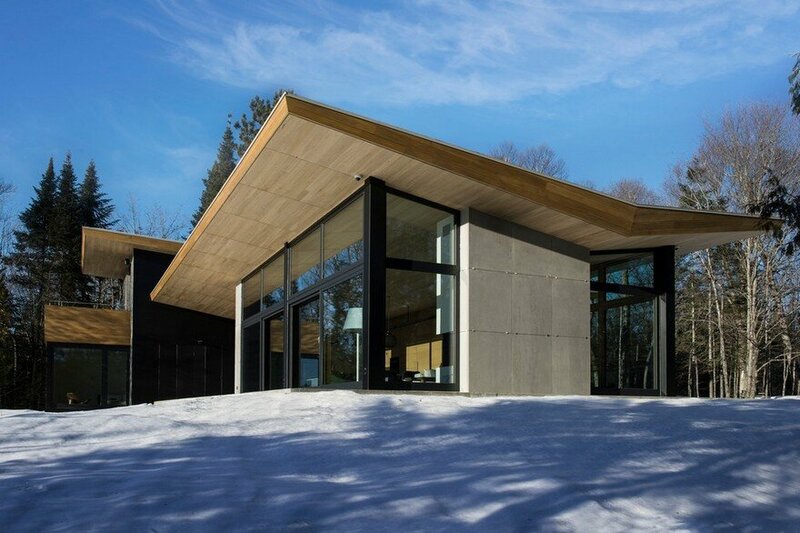 The living spaces sit on a large, semi-polished concrete slab raised slightly above the natural outcrop, putting the house in close contact with its natural surroundings, from which it is separated by distinctive clear glass walls. 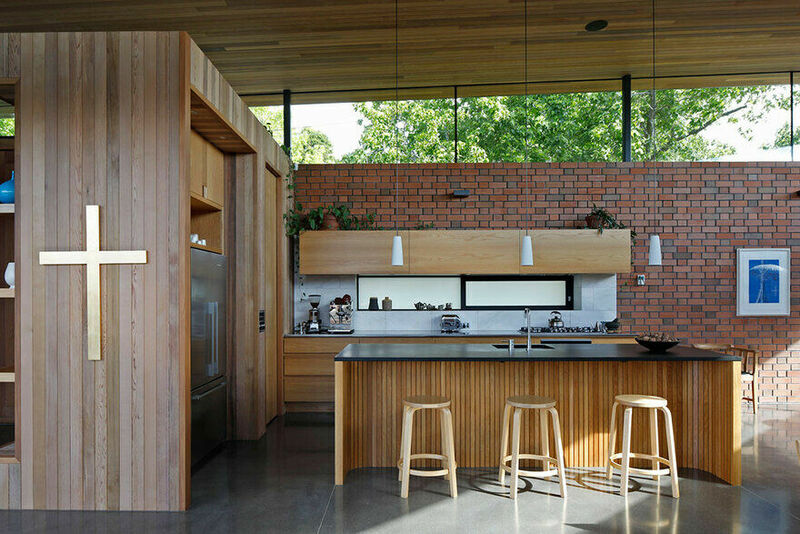 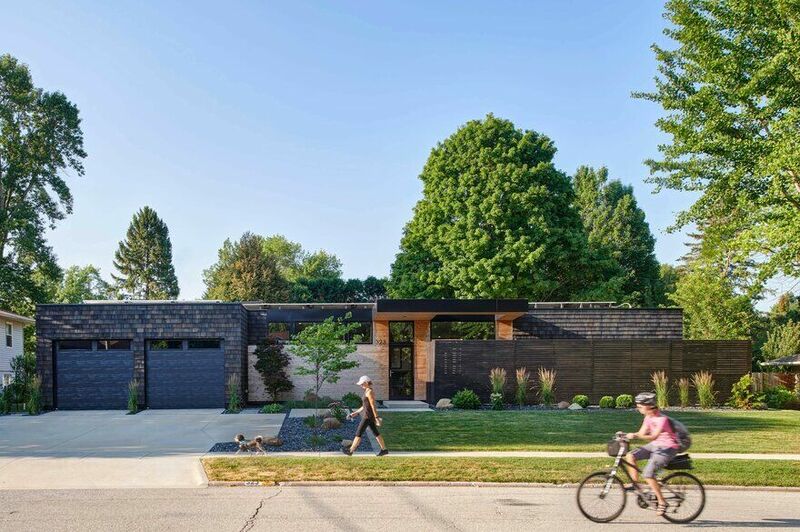 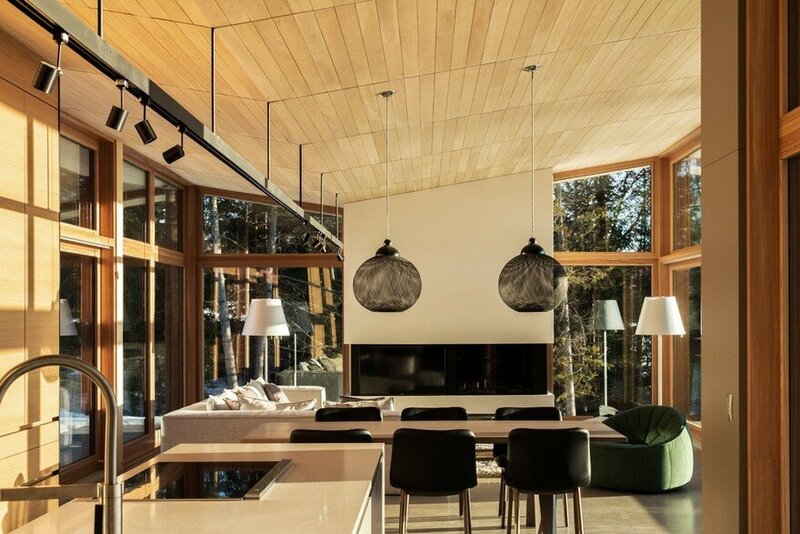 A white cedar roof – the wooden wing – boast ample eaves overhanging the glassed-in volume, protecting the living spaces from excessive direct sunlight and providing shelter for outdoor sitting areas, which extend the interior rooms organically. 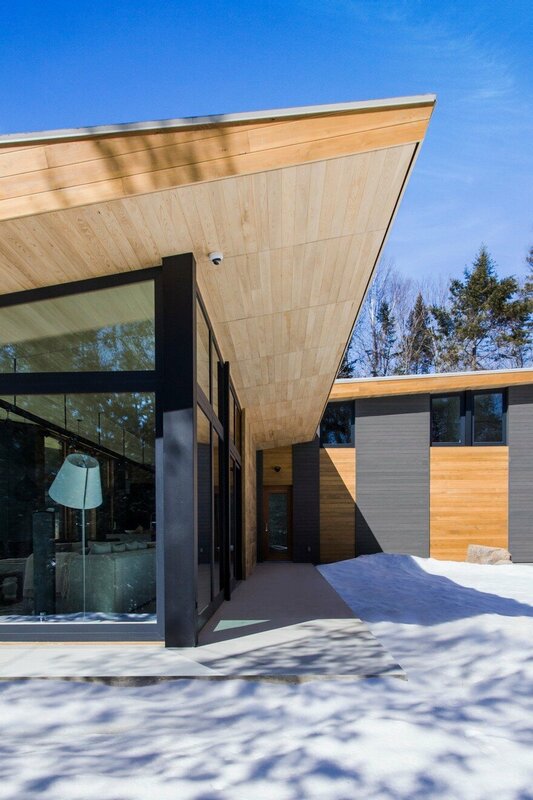 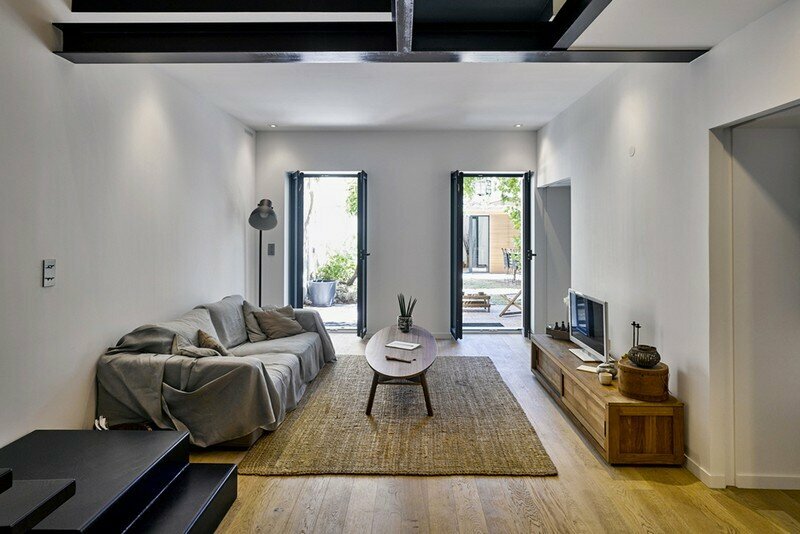 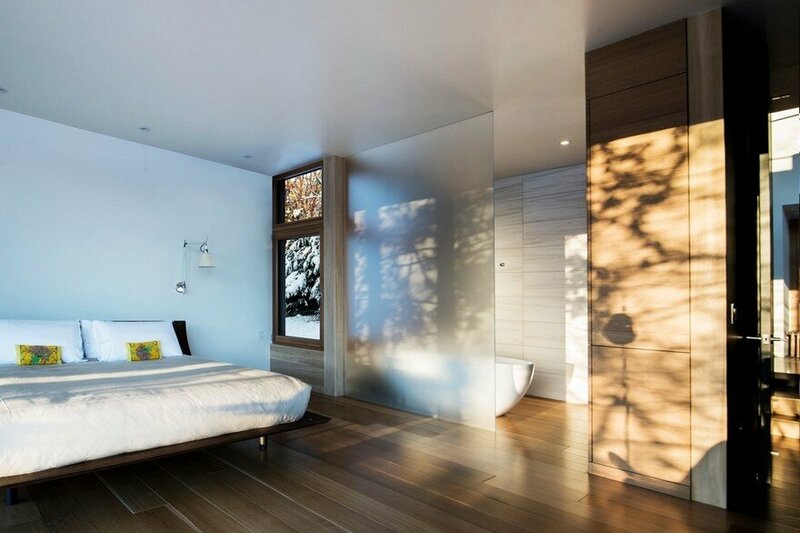 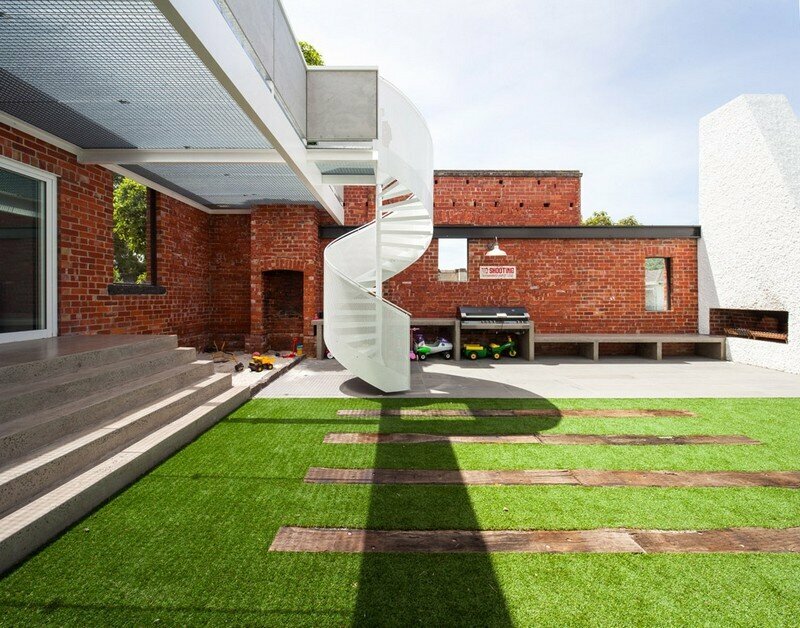 Perpendicular to the wooden wing, a nearly opaque two-story volume holds the house’s service areas and bedrooms. 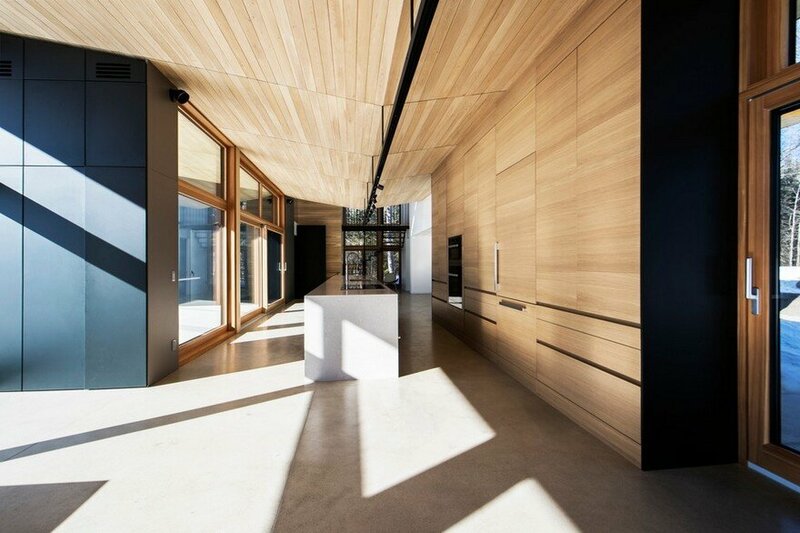 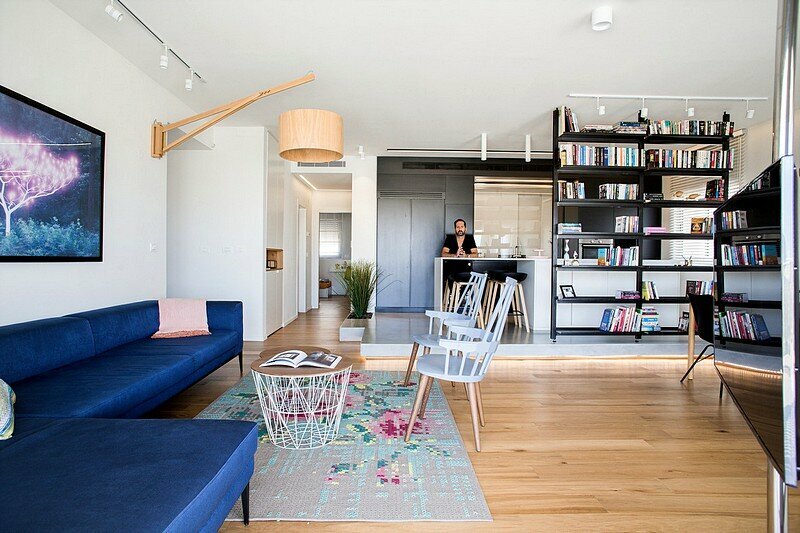 The Wooden Wing cottage plays on the duality of openness and opacity, day spaces and night spaces. 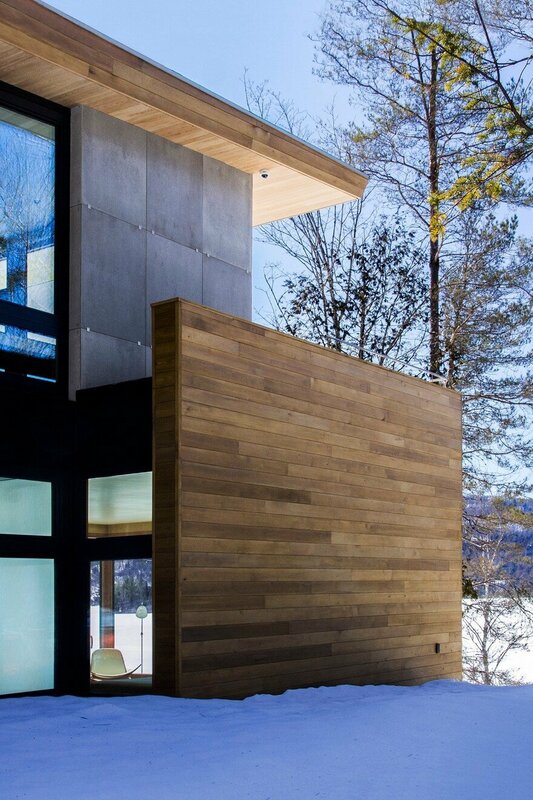 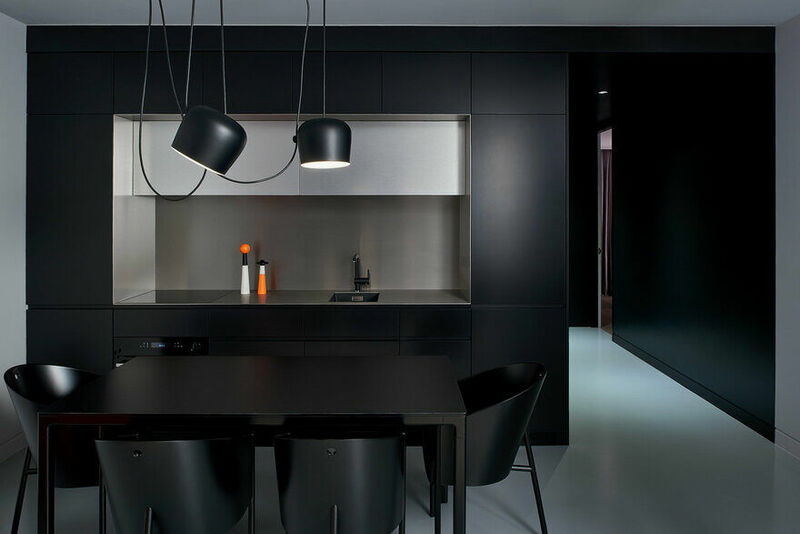 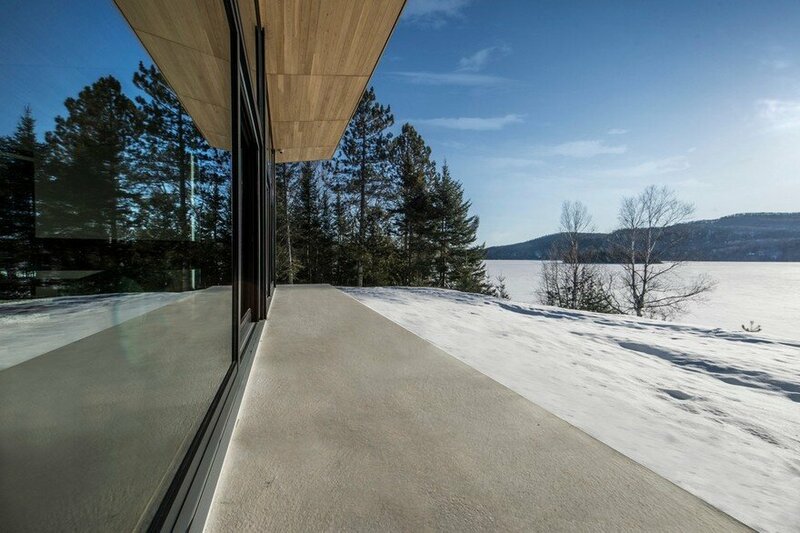 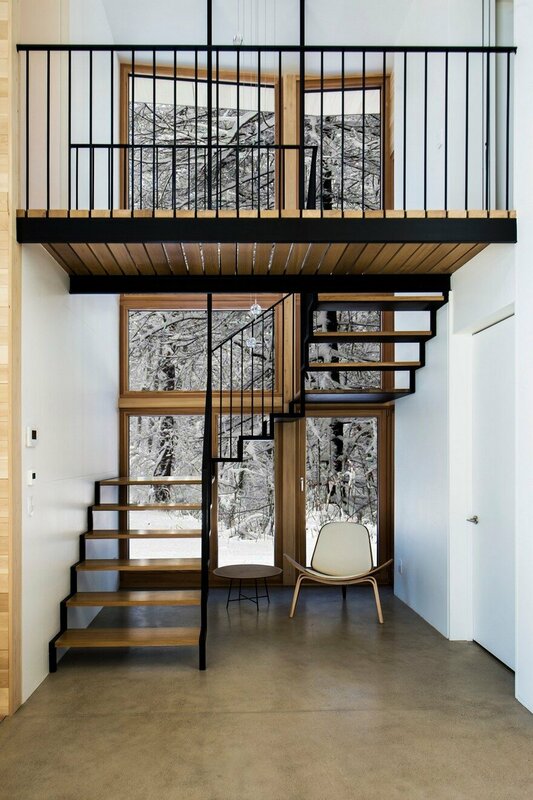 The use of a limited palette of materials – white cedar, polished concrete, black aluminum and clear glass – both inside and out helps erase the boundaries between architecture and nature.